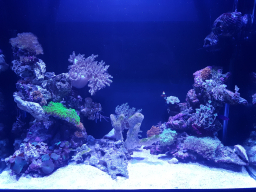 Am currently cycling my new tank but when it comes to moving all my corals over I have flat worm problem. how do I get rid of this before I move it into the new tank without killing all the bacteria and critters that live inside the rock? The lump of rock is about the size of a 25ltr drum so not an easy thing to move about. Have you tried Korallen-Zucht Flatworm Stop mate? I did use this product on my system as a precaution but never had any. Flat worm exit gets good reviews as well, be careful as there toxic when they die so could nuke your tank if there are lots of them so have fresh salt water and carbon ready. Do Bristle Worms Actually Eat Corals?